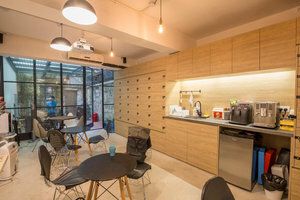 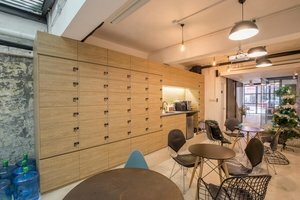 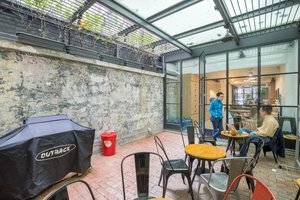 Nestled in a vibrant area of Sai Ying Pun, this 1200 square feet space is available to rent for the pop-up stores, press events, or even product launch, allowing designers and brands to gain more exposure. 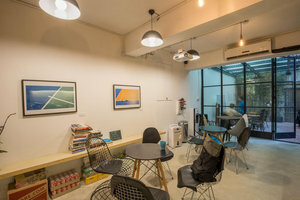 It is well-located on the ground floor of an industrial-style office, surrounded by numerous commercial and residential buildings, enjoying moderate foot traffic. 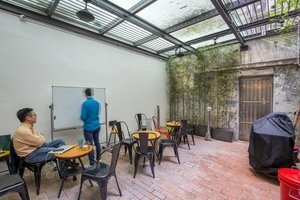 This space is modern in style with cement floor, white wall, high ceilings and a large window at the entrance of this space, creating a warm and cozy atmosphere which is best for your idea generation. 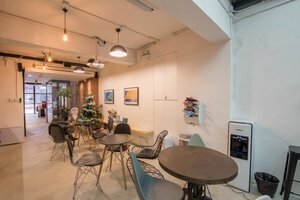 It is equipped with air-conditioning, Wi-Fi access, lighting, electricity. 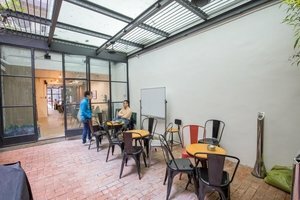 Projector, refrigerator, tables and chairs are also included, making this space a perfect venue for your next pop-up event.